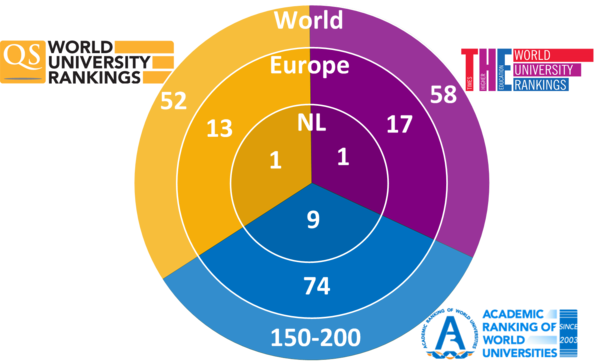 Several organisations try to provide insight into the relative quality of universities via international rankings. Such rankings do not provide an objective picture of the performance of universities, because they are based on subjective choices of indicators, definitions and weighting factors and are subject to methodological shortcomings. 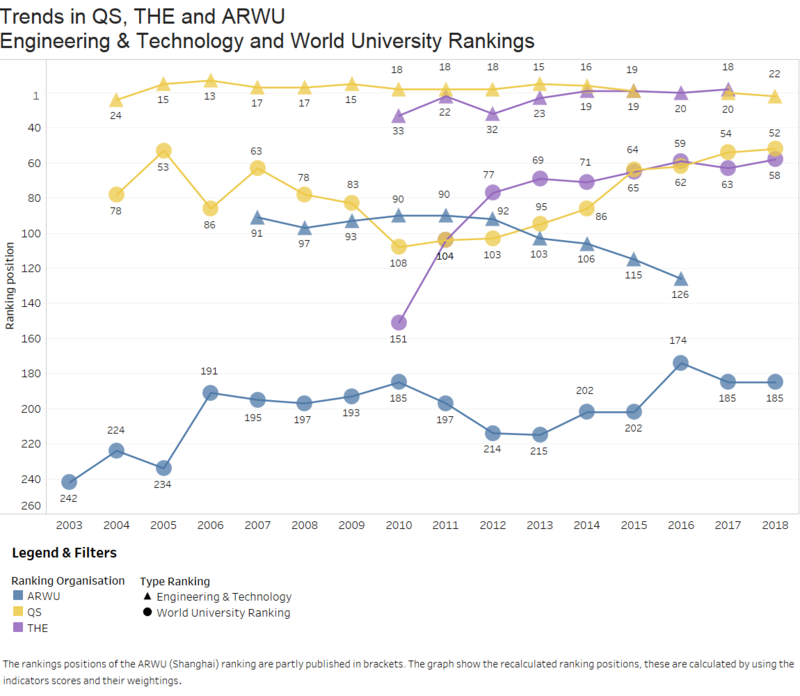 Nevertheless, these rankings give a rough indication of the relative performance of TU Delft as a whole, or with regard to a specific discipline. Based on its position in the various rankings, especially those in the field of Engineering and Technology, it can be concluded that TU Delft is among the top universities in Europe and in the world. 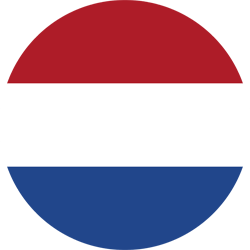 TU Delft uses international rankings as part of its recruitment and internationalisation policy in an appropriate manner. 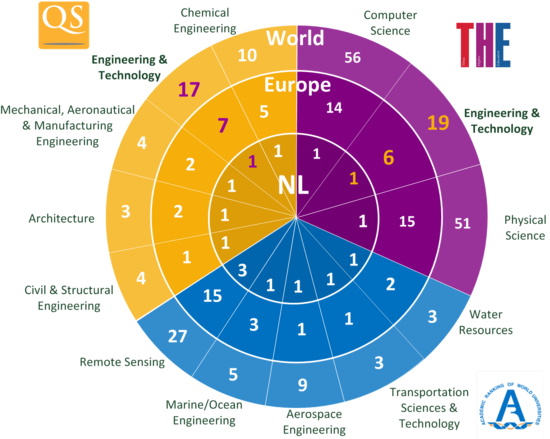 For the international positioning of TU Delft, the results of the rankings listed below are of particular interest.